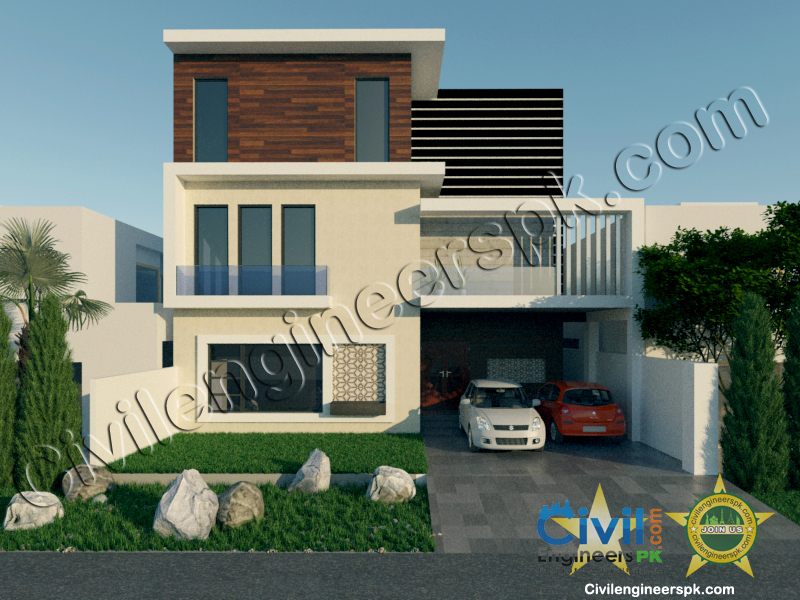 Another new 10 Marla House with ground floor, first floor and second floor has successfully been designed and handed over by team Civieilgnineerspk. The design includes architecture, structure, water supply, sewerage, electricity and 3D. Plans made with 100% customer satisfaction. 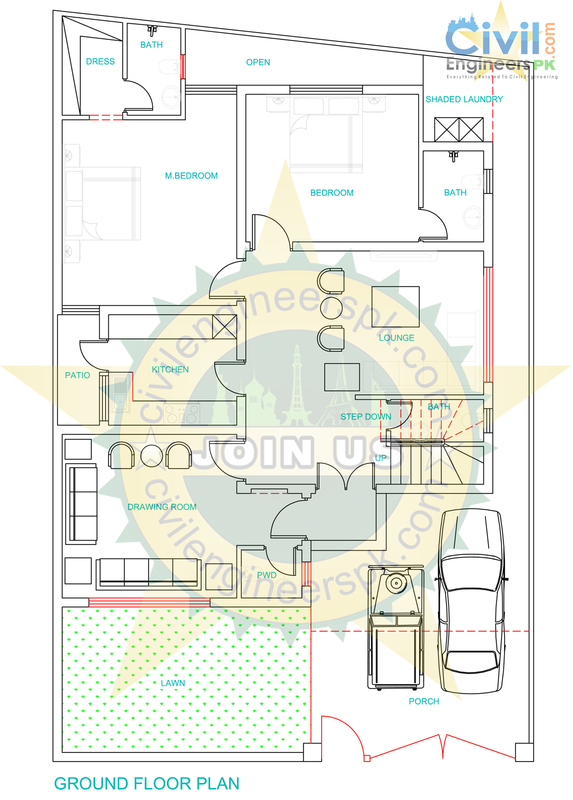 This house is to be built in the city of Dera Ismail Khan, Pakistan and includes the following. 4 Bed rooms ( Two master bed rooms with attached bath and dressing and two bedrooms with attached baths). 1 Master Bed Room with attached bath and dressing. 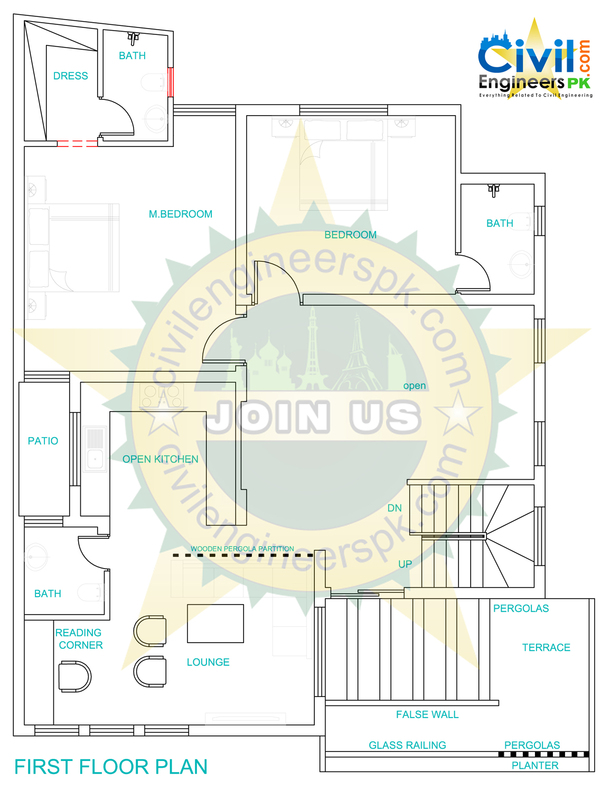 1 Bed Room with attached bath. Open space for good light and ventilation. 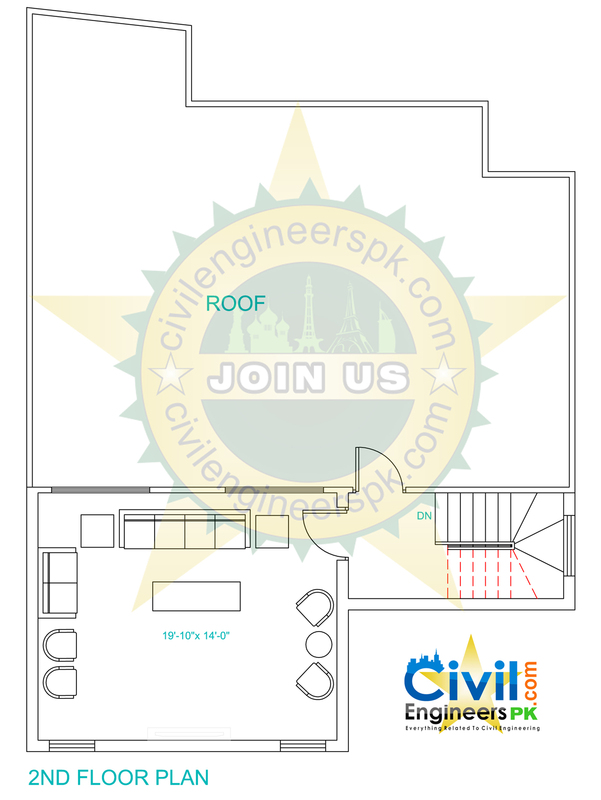 This entry was posted in Plans and tagged House Plans by CIVILENGINEERSPK. Bookmark the permalink.